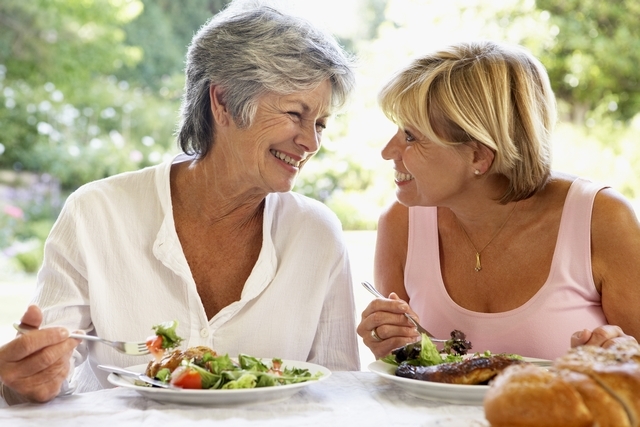 How Can Your Diet Keep You Young? ← What Can You Expect From In-Home Care Services? Improved Health: The main advantage of a nutritious and balanced diet is improved health. By eating better food, you will feel better almost immediately. This is because food has a direct impact on many aspects of our health. It can affect everything from our appearance to our immune system. This is why it is so important to eat right because unhealthy food can also impact every aspect of your health. And through our companionship care in Florida, we can help you eat right. More Energy: Another benefit of improving your diet is an increase in energy. By providing your body with better food, you will also be providing it with better sources of energy. This will allow you to not only pursue the things you love but to also do tasks such as exercising, which will only help you feel even better. Younger Appearance: Eating right can also have a large impact on your appearance. Eating certain kinds of food can help reduce wrinkles, improve your hair, skin, and more. Not only will you feel younger but you will also look younger. Prevention: A healthy diet can help prevent many kinds of illnesses. Not only will it help keep more common conditions at bay due to an improved immune system but it will also help prevent serious and life-threatening illnesses such as cancer and dementia. Those are just a few of the many ways your diet can help keep you not only feeling younger but also looking more youthful. If you would like to learn more about your nutrition or about our home care services, please get in touch with Compassion Home Care. We are a non-medical home care in Winter Haven, Florida that is committed to helping you live a better and more fulfilling lifestyle. This entry was posted in Senior Health Care and tagged Chair Exercises, Companionship care, daily living activities, Healthy Weight, Homecare, Non-Medical Home Care, Senior Exercises. Bookmark the permalink.